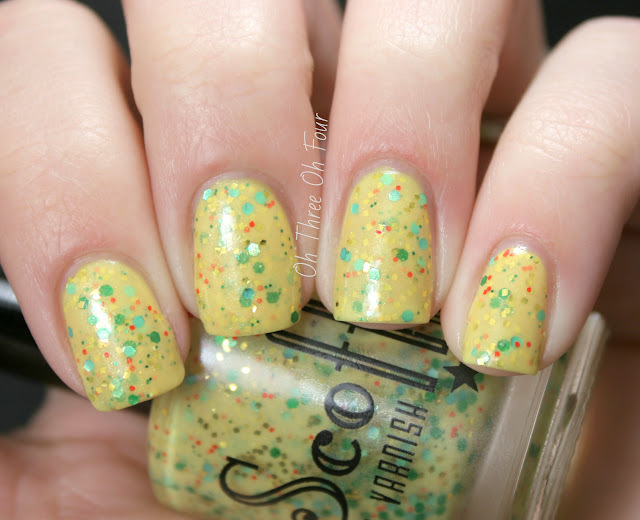 Insert Lemon Pun Here is described as a tart yellow base containing gold, holographic sky blue, emerald green, and hot orange glitters of various sizes and fine gold micro-shimmer. I used 3 coats with a top coat of HK Girl Top Coat. 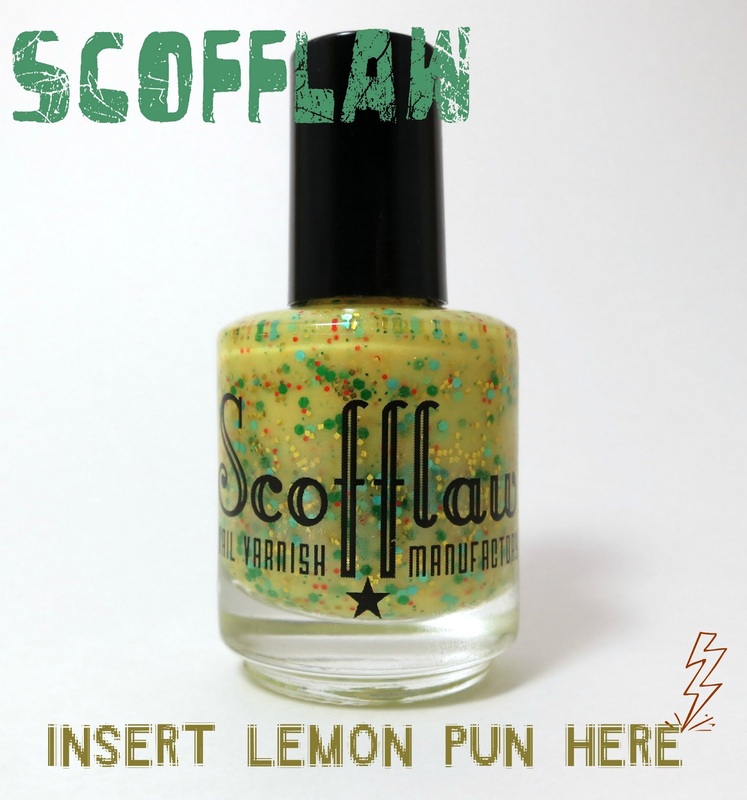 Find Scofflaw polish on Etsy. She currently only has this color in stock, but follow her on Facebook for shop updates.